With the Kia Sorento tow package, the 2019 Kia Sorento is capable of towing up to 5,000 pounds. And since each job is different, Grosse Pointe drivers can choose a trim level with the right engine, drivetrain, and towing capacity they need. St. Clair Shores drivers will be impressed by the technology features in the 2019 Kia Sorento lineup that enables seamless power and performance. The LX trim level offers Dynamax™ full-time all-wheel drive, which includes an array of advanced electronic sensors that assess road conditions and adjust power distribution power to different wheels in order to increase traction and control. A Locking Center Differential and Torque Vectoring Cornering Control (TVCC) are also available to provide a stronger hold when handling the maximum towing weight. 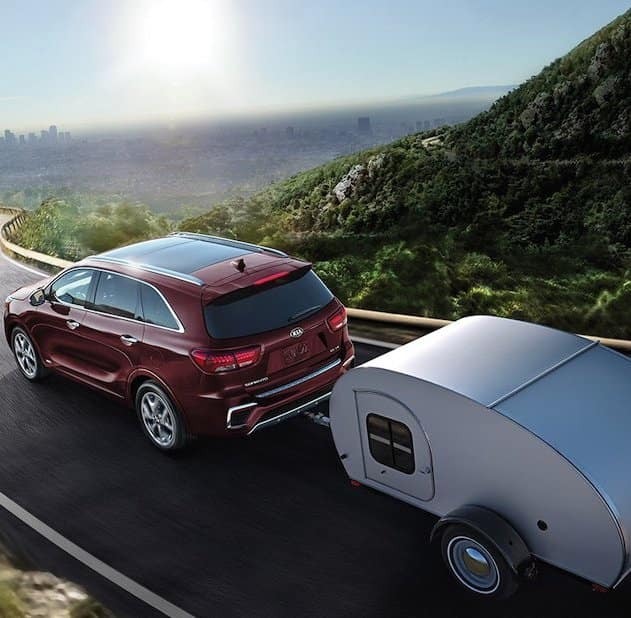 Your new Kia Sorento is capable of more than you know so check out our Kia accessories to find a Kia Sorento trailer hitch and other tow equipment to take your vehicle to the next level. You can also learn more about Kia’s plans for a truck someday. Contact us today to schedule a test drive near Sterling Heights! 0 comment(s) so far on What is the 2019 Kia Sorento Towing Capacity?